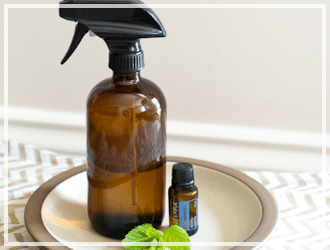 As you know, I am on a journey of making my home more chemical free. 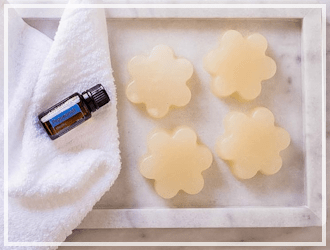 I am always on the lookout for products that I can make myself, and one that I have been meaning to try my hand at is Homemade Dish Soap. A few months ago I found the perfect combination (in my humble opinion) and my whole family loves it. We not only use it for our dishes, but we use it to wash our fruits and veggies, and it even serves well as a hand soap! 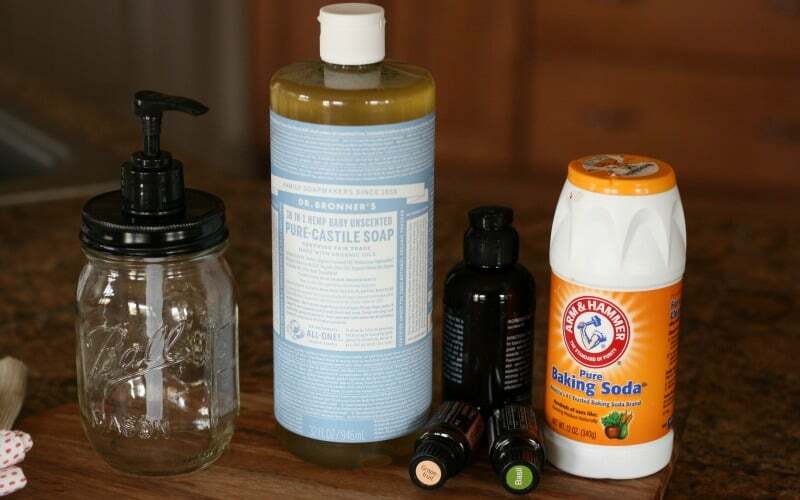 My dish soap recipe is made with castile soap which is made from 100% plant oils. It’s not made from chemicals or animal fats, just plants! I love that! Also, my recipe is a breeze to put together and smells amazing! 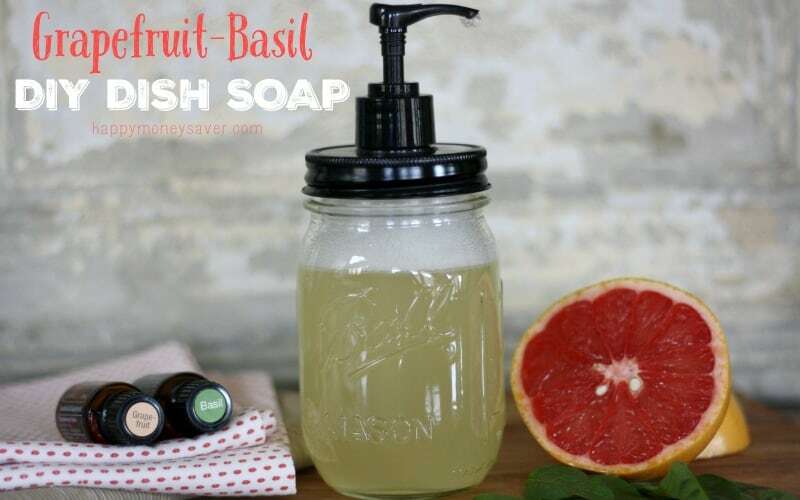 I have made this recipe using many different scents, but my current favorite is grapefruit basil. 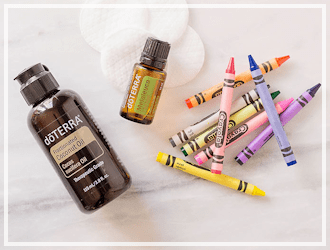 I love this for many reasons, but one is that these 2 essential oils are both emotionally uplifting and mentally focusing which I sometimes need in the mornings when I am doing the dishes. I need a little something bright, uplifting and motivating, especially with winter coming soon. 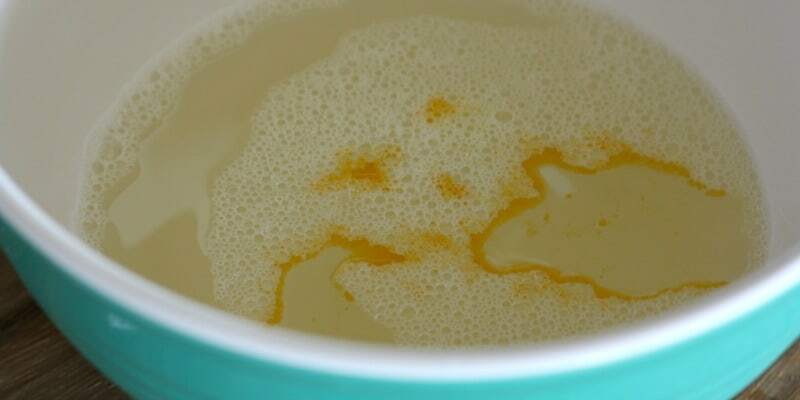 Add water, and castile soap to a large mixing bowl. 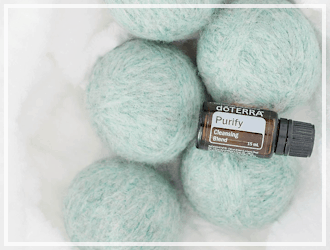 Next add in baking soda, fractionated coconut oil and your favorite essential oils! Once everything is added, it should look a little something like this! 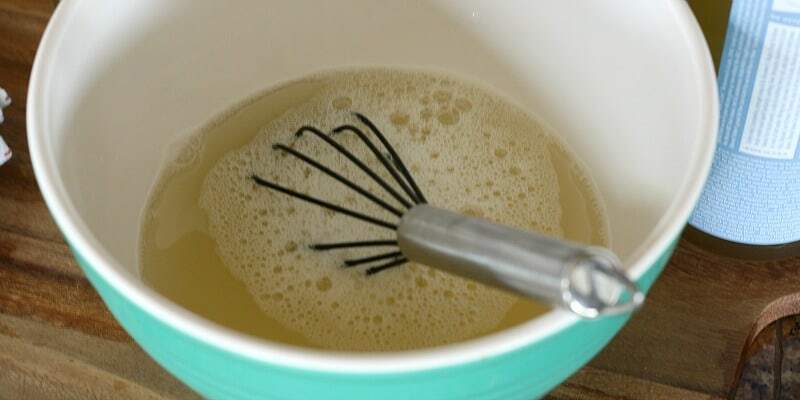 Use a whisk and very gently mix solution so that baking soda is dissolved and everything is well combined. 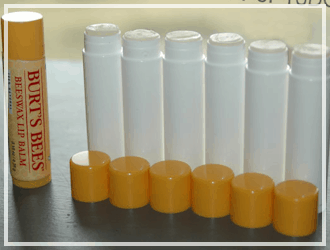 Pour into a pint or quart glass jar and add a soap lid pump. You can get one on amazon here. I happened to have one from an old bath and body works container that I had saved and it worked great! And that is all there is to it! Easiest. Recipe. Ever. 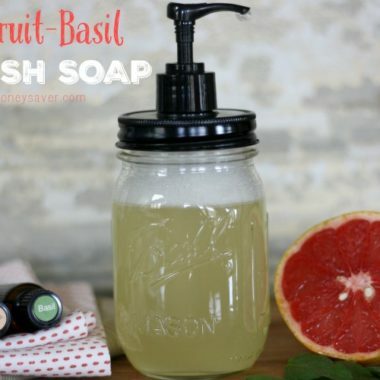 For those concerned that a homemade dish soap recipe might not make suds, or wash grease or grime away, I have personally never had that problem with this recipe. When I was testing other recipes, some didn’t work as well as others but this recipe has worked great for us and we have had no problems! Look at all those bubbles! And the smell? The smell is clean and fresh with a zing to it that is very refreshing! I love clean dishes, don’t you? What do I love more? Someone else doing them for me… I digress. 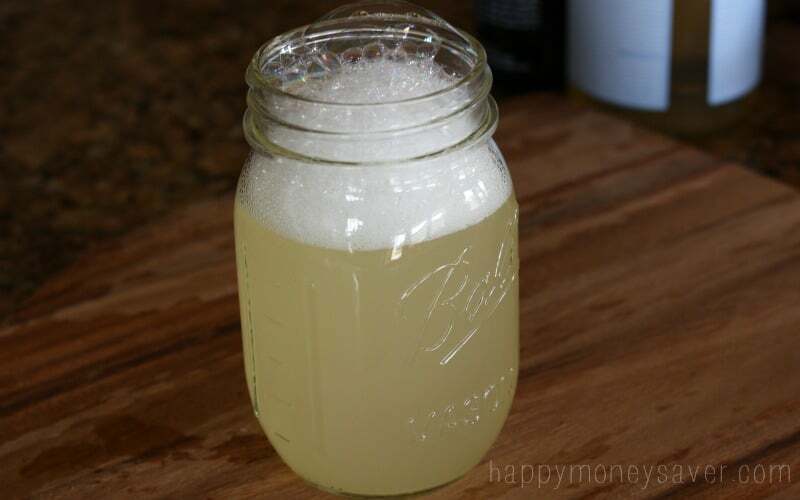 Learn to make your own dish soap. 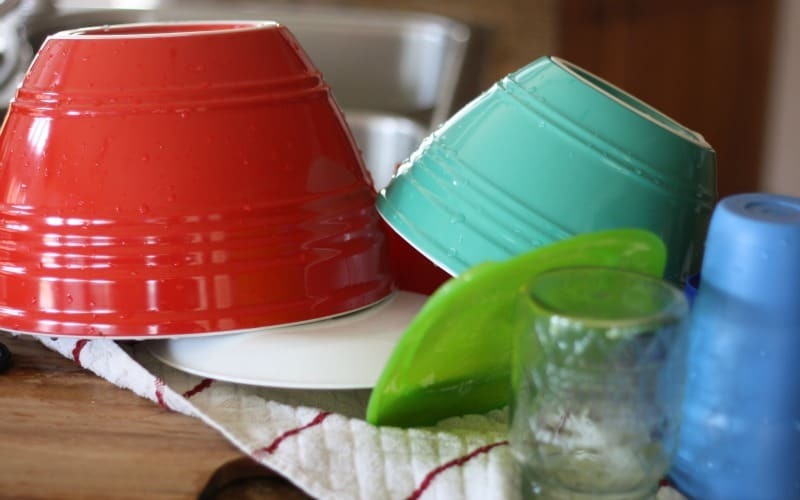 Add water and castile soap to a large mixing bowl. Pour into a pint or quart glass jar and add a soap lid pump. My recipe makes about a quart of dish soap, and about the same amount of Dawn dish soap costs around $3.50 give or take. 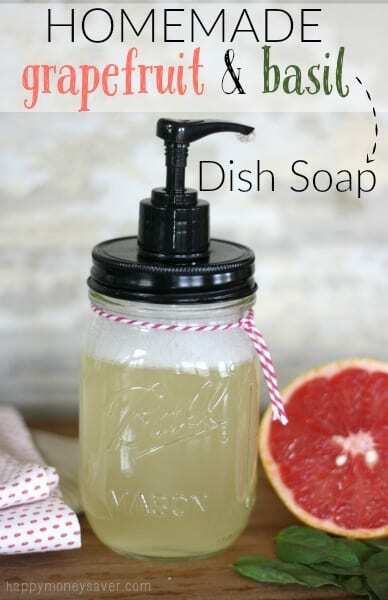 So yes, making your own dish soap is a little more expensive, but it takes only minute or two to put together and is so fun to make! I feel a lot better knowing that the utensils and the dishes that I am eating off of are coming from a plant based soap and that I won’t be ingesting any unnecessary chemicals from soap residues left on my dishes. So with that being said, for me it is definitely worth it for both the cost and time, but what do you think? 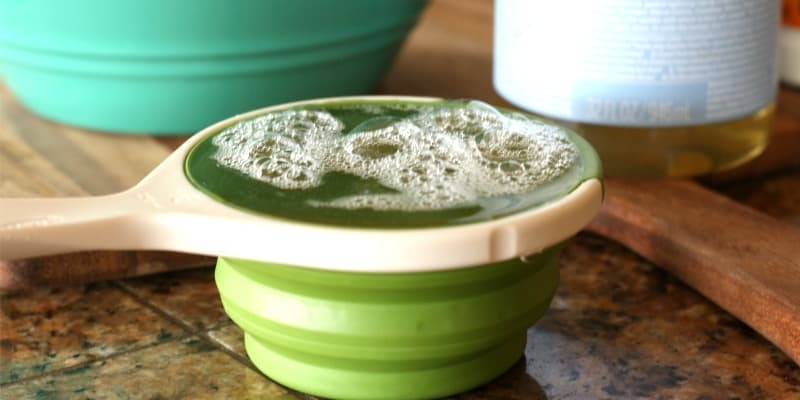 Is it worth it to make your own dish soap if it costs a little more than the store bought kind? Leave a comment and let me know! Before you jet, don’t forget to check out some of my other homemade recipes too! 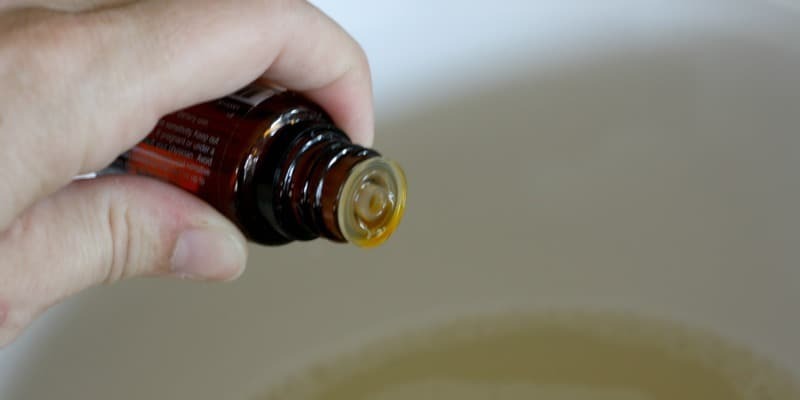 I was super excited about this, and when I made it I didn’t feel like it really cut through the grease on my dishes… everything came out with a greasy film on it… only thing I changed was the oils… I used lemon and thrives instead… kinda bummed.. is there anything I could add to help out with this? 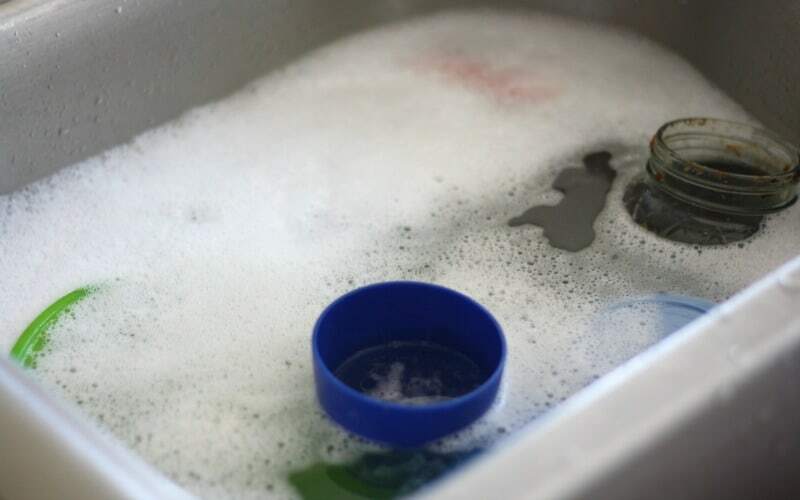 I had the same problem, but I found that if I use the soap directly on the dishes rather than filling up the sink then it works better. I’m going to use the spray bottle suggestion from the other comments. Me and my colleagues have actually managed to make our own products for all the services we provide that ranges from floor cleaning to swimming pool filter cleaning.. and it really is a different feel (more organic and comfortable) when using detergents that you know inside out rather than something you have no idea what is about. I love love LOVE this dish soap!! It’s simply and oh so effective! I also have hard water, super hard water and have found this soap cleans very very well! Thanks Karrie for all of your awesome recipes! And most importantly, for sharing!